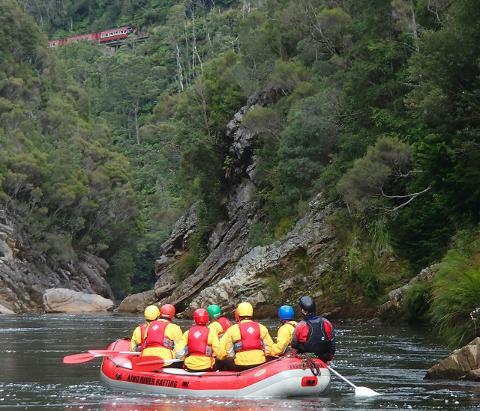 The King River Gorge, Raft and Steam Experience is a collaborative adventure between King River Rafting and the West Coast Wilderness Railway, combining the thrill of white water rafting with a return steam train ride through wilderness and history. 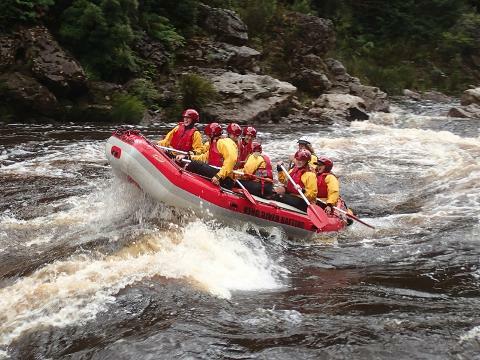 Your rafting experience begins on the King River, surrounded by the mountains of the West Coast Range. From our entry point, we'll navigate through 7km of the King River Gorge's exicting rapids, from Newall Creek to Dubbil Barril, passing through a remote rainforest gorge past thousands of ancient Huon Pine trees. It's a peaceful day in the wilderness, mingled with some excitment as we pass through some exhilarting raids, including the famous Sailor Jack Rapid. 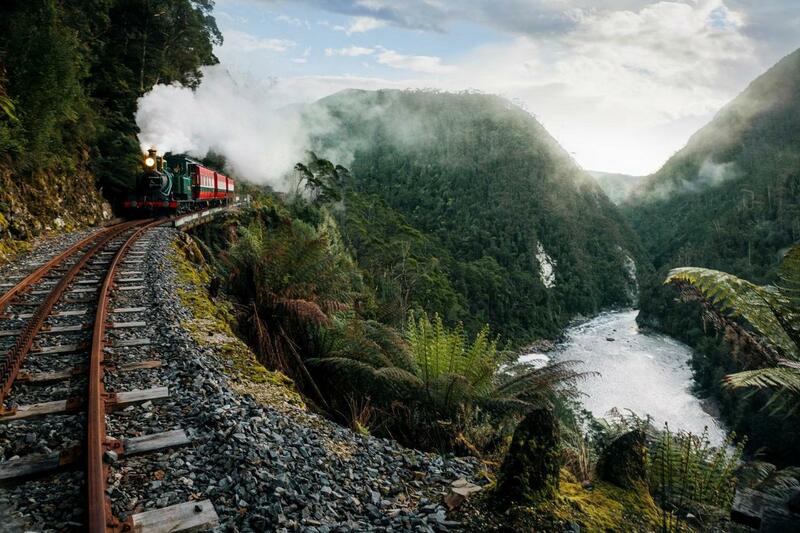 We'll catch glimpses of the West Coast Wilderness Railway on our journey. Our journey downriver continues until we meet the train at Dubbil Barril Station. The return steam train ride takes us over a steep ridge using the rack and pinion Abt system to move the train out of the gorge and safely down the other side. Homeward bound the train stops at Rinadeena, a water stop for the train and coffee for us, and again at Lynchford, this time for a chance at gold panning. The last stop is Queenstown, where our tour ends. • Transport to the river from Queenstown. On Wednesday 10 January 2018 departure time is 12.00, returning about 6.00 pm.